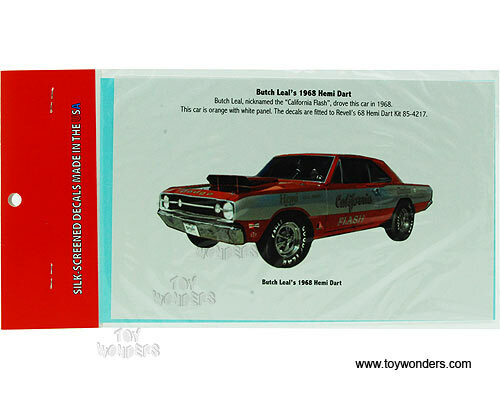 GR12001 Decals - Butch Leal Dart for 1:24 Scale Vehicles. 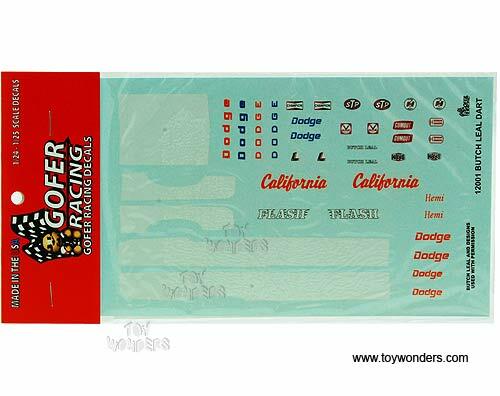 The Decal sheet size is 7.75"L x 4.75"W. It is great for decorating 1:24 scale cars and dioramas. It is water slide, easy to peel and paste. Each sheet is individually blister carded. Card size is 5"L x 9.75"W.